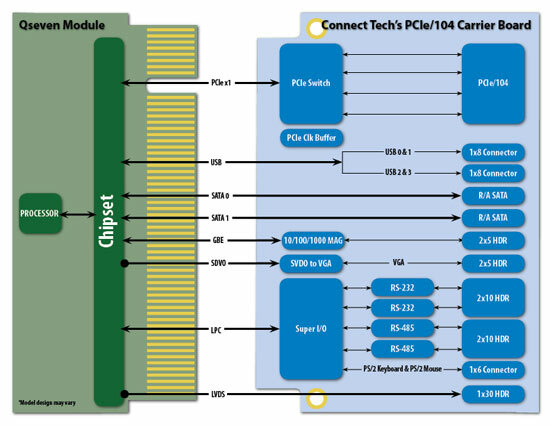 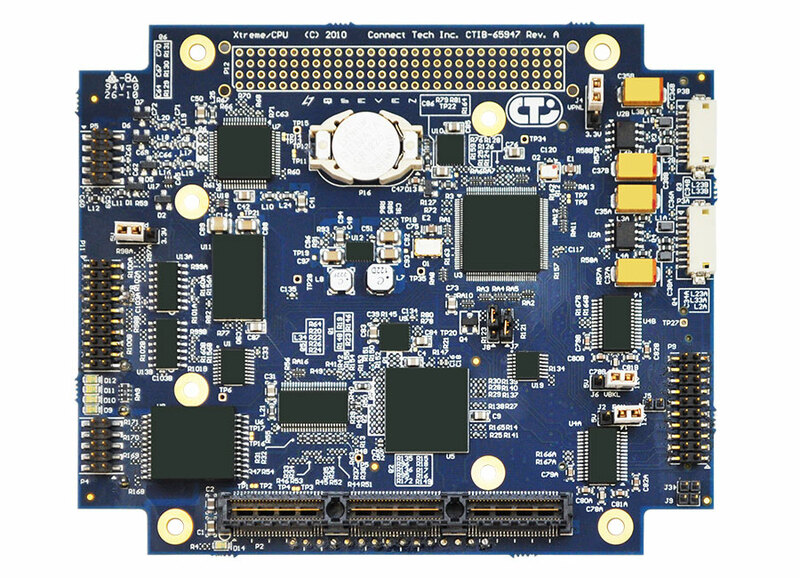 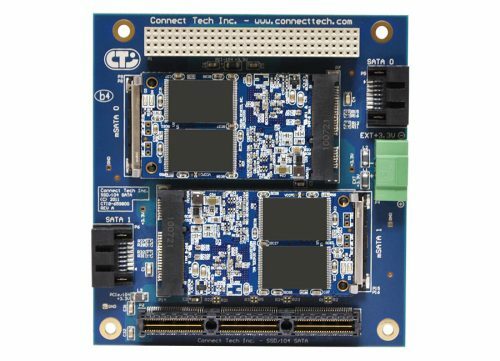 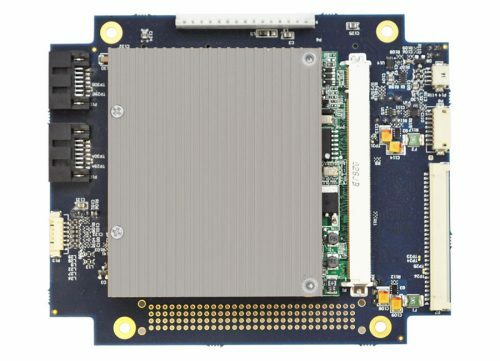 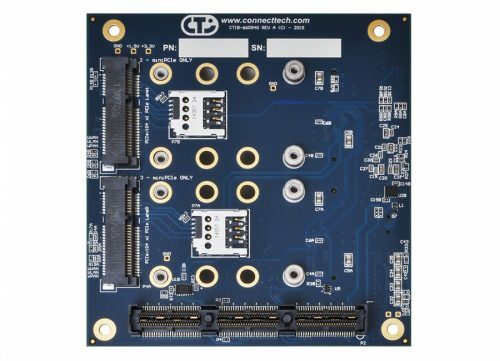 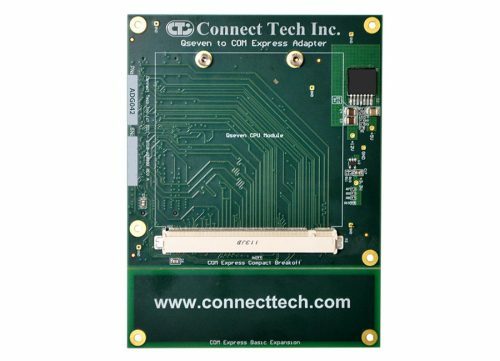 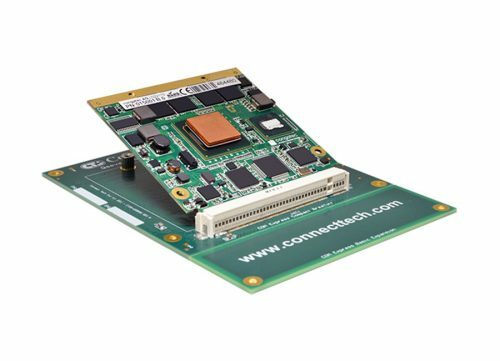 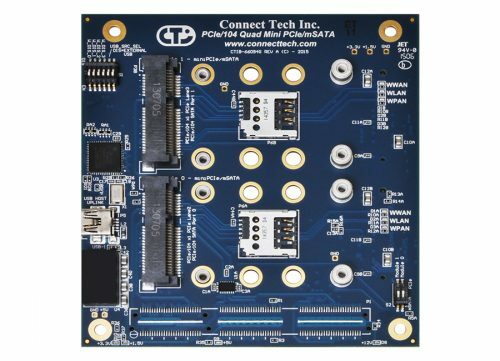 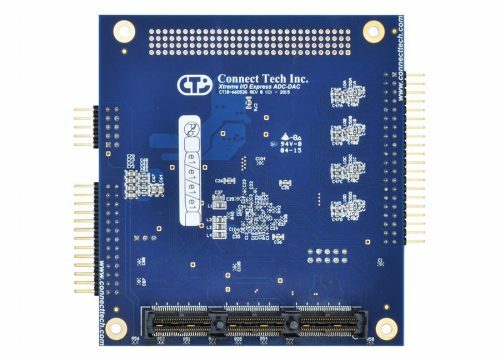 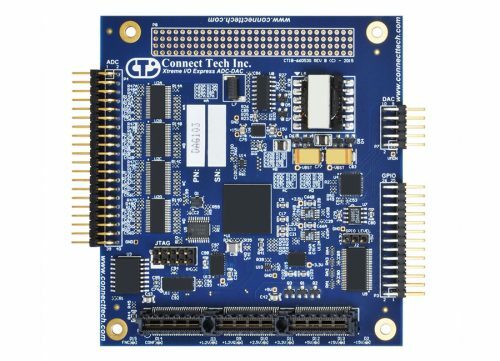 PCIe/104 Qseven Carrier Board - Connect Tech Inc.
Connect Tech’s PCIe/104 Qseven Carrier Board is a small embedded carrier board that allows complete integration with any industry standard Qseven module. 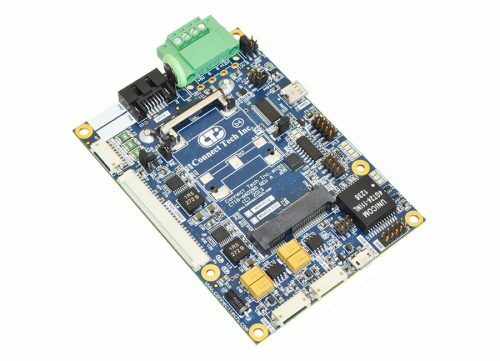 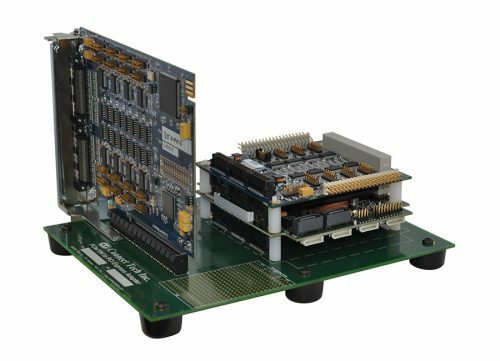 This carrier board utilizes the PC/104 form factor with 4 x1 PCIe lanes, and the PCIe/104 bus. 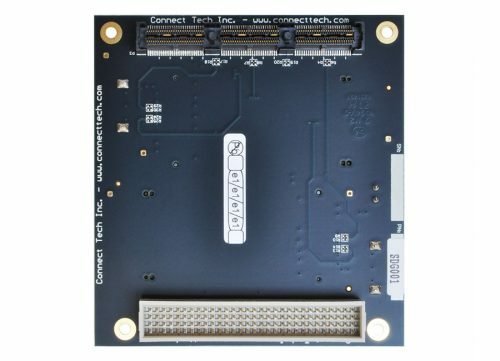 The on-board connectors enable connection to SATA, USB, Ethernet, LVDS Video, VGA Video, and RS-232 & RS-422/485. 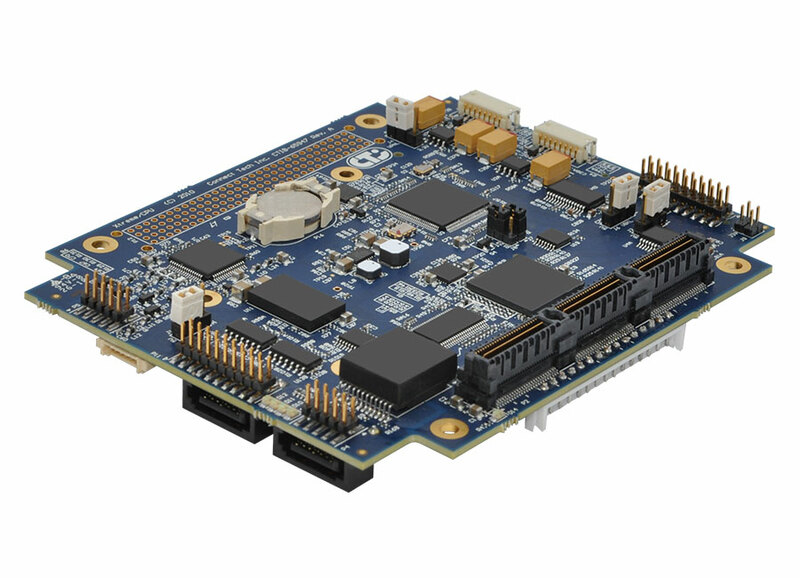 Easily upgrade to the latest processor and memory technology while maintaining the I/O interfaces. 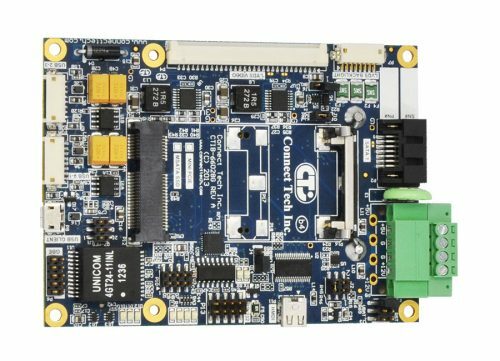 The PCIe/104 Qseven Carrier Board is ideal for a broad range of embedded applications.